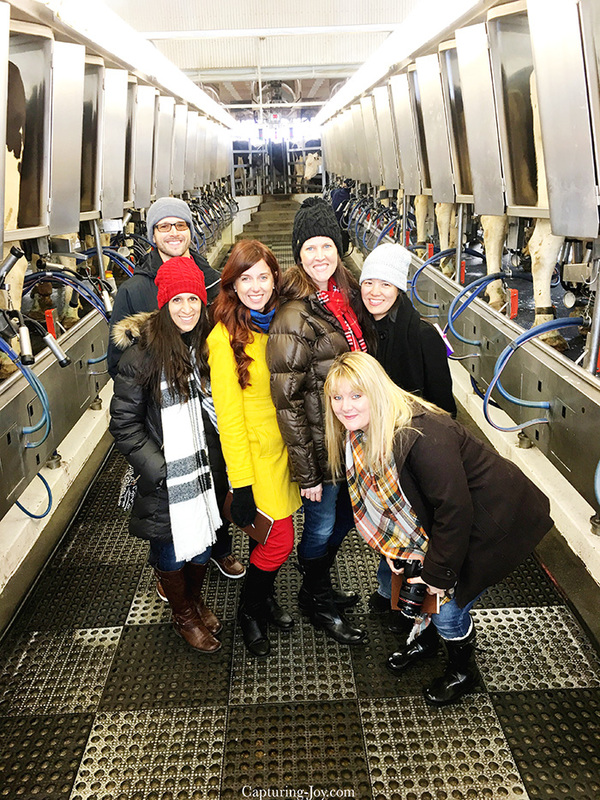 Back in December, I had the amazing opportunity to fly to Hershey, Pennsylvania and learn about the delicious treat we all know and love, HERSHEY’S Milk Chocolate. I learned about the entrepreneurial spirit of founder Milton Hershey, where cocoa beans are grown, and how they use 100% farm fresh milk as a key ingredient for delicious HERSHEY’S Milk Chocolate. We even visited Meadow Lane Dairy, one of the local farms that supplies the milk. 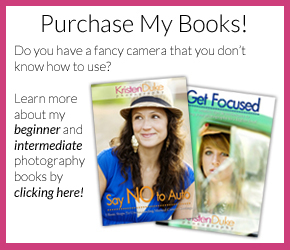 I’d love to share details from my adventure, and help educate you at the same time! I think we can all agree that HERSHEY’S Milk Chocolate is THE GREAT AMERICAN CHOCOLATE BAR. But did you know that Milton Hershey actually started his candy making business as a caramel maker? Back in the late 1800’s milk chocolate mostly came from Europe and was quite the delicacy. After having a successful confectionery business, Milton used those business skills to develop what we now know and love as HERSHEY’S Milk Chocolate. Growing up in small town Pennsylvania among dairy farms, he knew that farm fresh milk was the key to delicious chocolates. In fact, it’s farm fresh milk that creates the unique flavor of a HERSHEY’S Milk Chocolate Bar that we know and love. HERSHEY’S Milk Chocolate is made with farm fresh milk along with a few other familiar ingredients such as cane sugar and cocoa with no artificial flavors, preservatives or sweeteners. 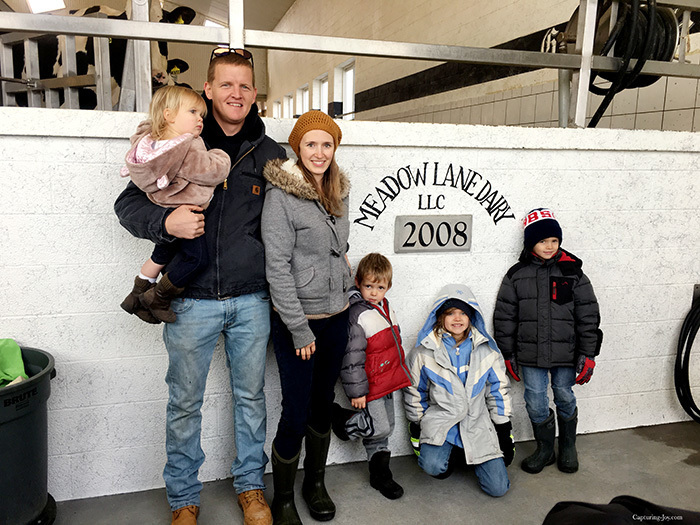 We had the delightful opportunity to visit Meadow Lane Dairy, about 45 minutes from the Hershey Factory in Hershey, Pennsylvania where we were able to tour the grounds and meet the sweet family who are the third generation to run the farm. After they milk their cows, it’s transported a short distance to the Hershey Factory. In fact, all of the farm fresh milk in HERSHEY’S Milk Chocolate is delivered on a daily basis and comes from within 100 miles of Hershey, Pennsylvania. 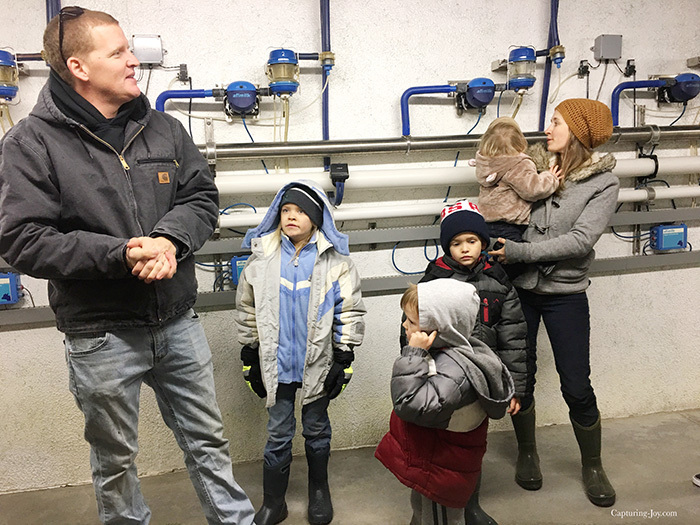 We saw how the cows are cared for, milked, and really learned about the heart behind dairy farming. 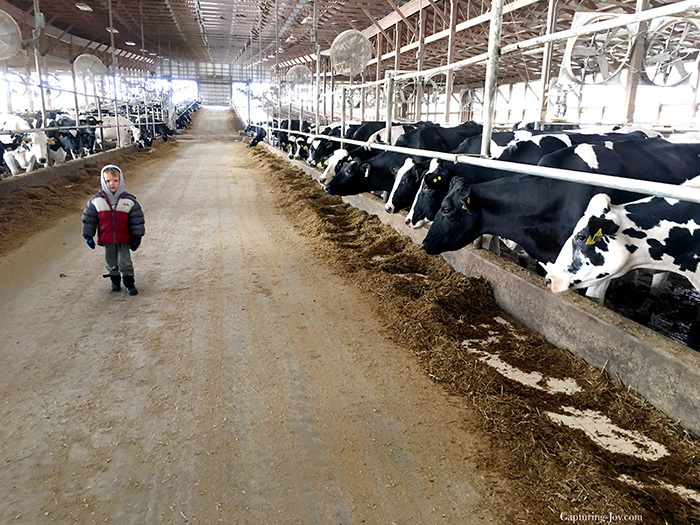 This family loves their cows and treats them so well. There are so many misconceptions out there about farming, and I really felt at peace knowing they are treating these animals with love. We learned that the cows at Meadow Lane Dairy wear something like a fitness tracker (like people use to count their steps!) 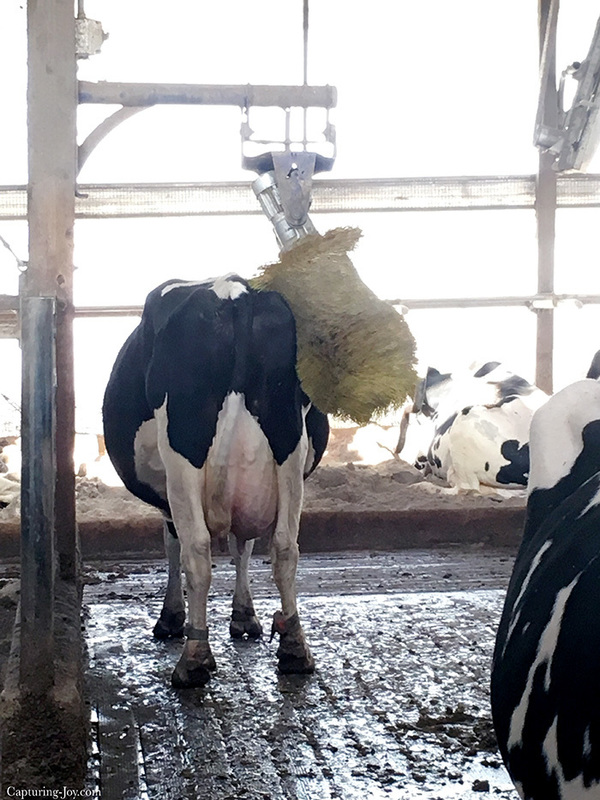 on their ankles with technology that can read their temperature, track their activity and even let the farmers know if they have mastitis, even before symptoms show on the outside. Amazing. 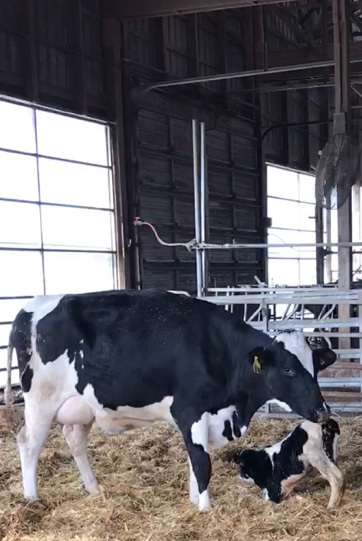 I took some fun videos of a cow getting a back scratch from a bristle machine and even saw a baby calf taking his first steps just 2 hours after being born. What a treat! See the bottom for my Instagram story video of the trip. Besides meeting the adorable family, we found out that the farmer’s wife, Zoe, has her own Etsy shop where she sells amazing quilted items. 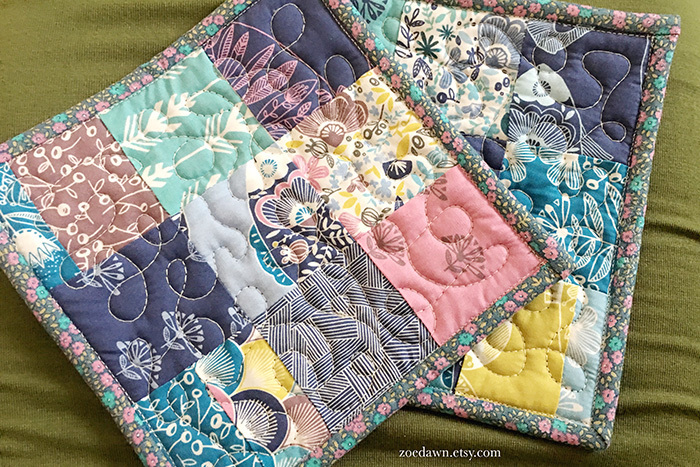 She gifted us some pot holders (made out of scraps) that were simply gorgeous! 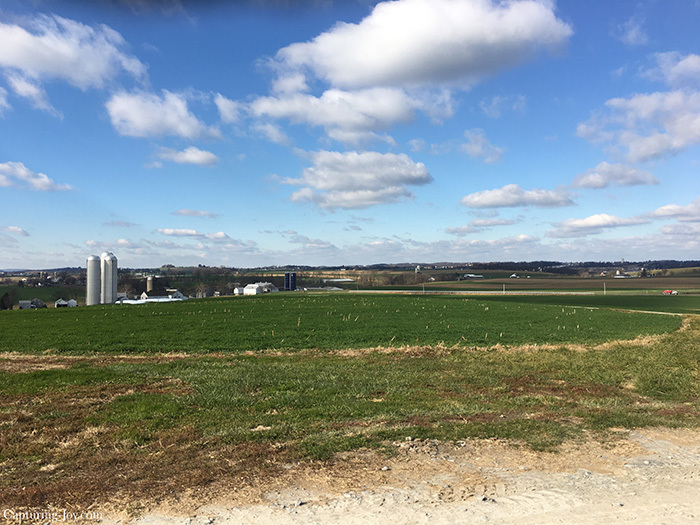 The dairy farm sits on a beautiful property at the top of a hill less than an hour away from Hershey, Pennsylvania. Building the property up on a hill helps with the breeze from the cows…if you know what I mean! 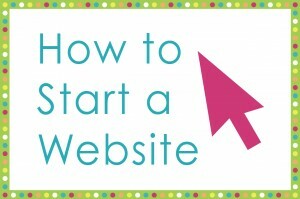 It was really so much fun to have this adventure and to meet some new blogging friends! 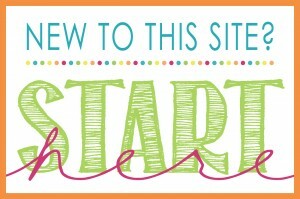 I’d love you to look up my new friends and follow what they have to say! 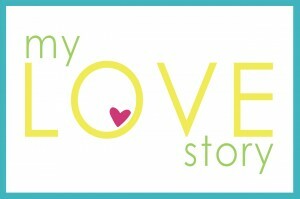 It’s funny, in this blogging world, I thought I knew everyone, but several of these creatives I hadn’t heard of before while several were familiar, and we just hadn’t met! It’s always great to talk to others who get what I do. 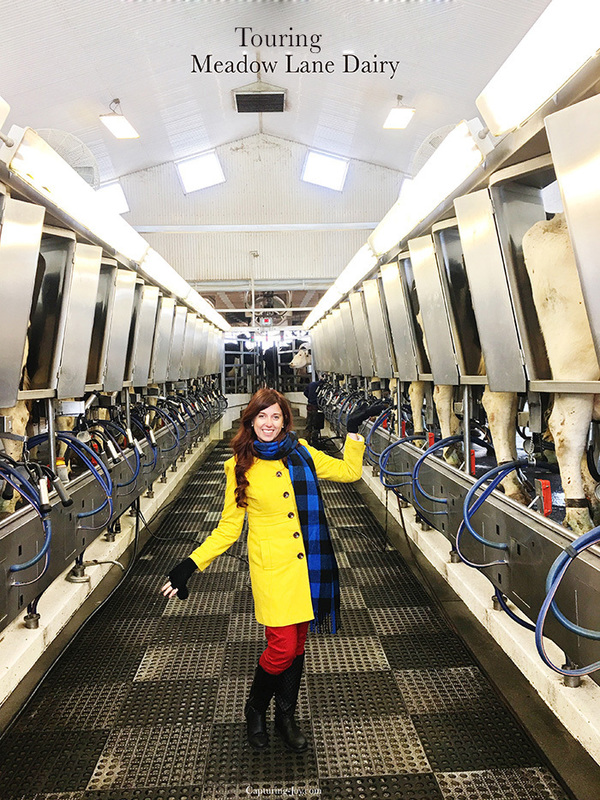 All in all, I truly enjoyed the behind the scenes look at Meadow Lane Dairy. 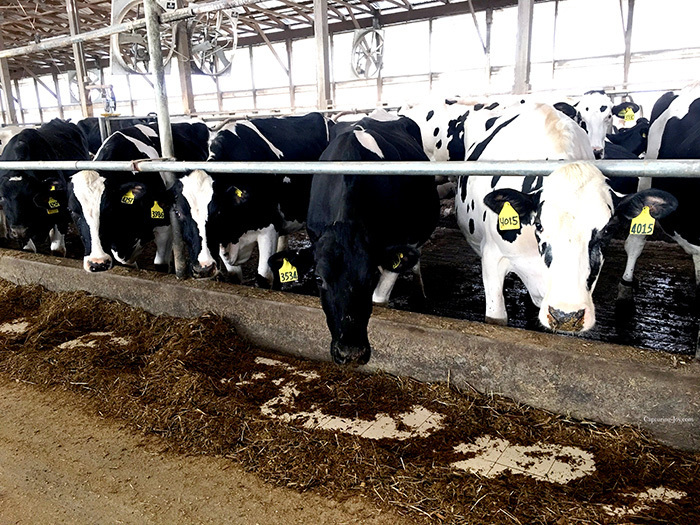 The Rohrer family truly loves what they do and take the health of their cows seriously, as well as the quality of milk that goes into HERSHEY’S Milk Chocolate. Here are the video clips that I shared on my Instagram story while I was there. 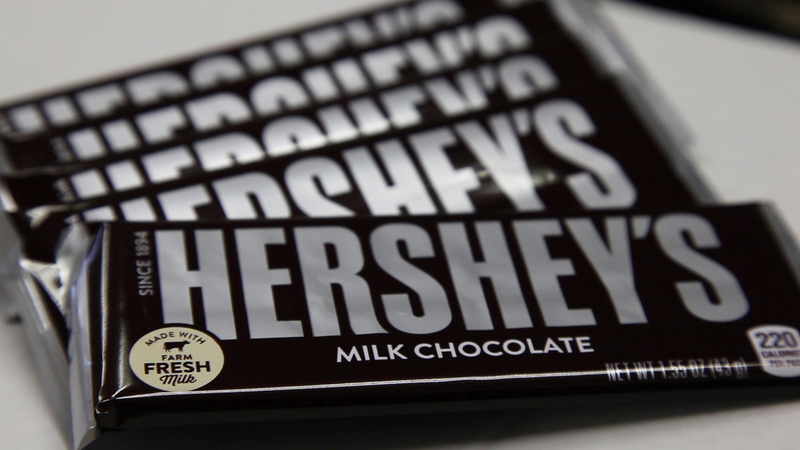 Stay tuned, I’ve got part 2 of my HERSHEY’S adventure coming up soon! I was delighted to partner with The Hershey Company, but all opinions are my own. You can also visit www.FreshMilkChocolate.com to learn more about the farm fresh milk and other simple ingredients that go into HERSHEY’S Milk Chocolate.